Then the king ordered Ashpenaz, his chief of staff, to bring to the palace some of the young men of Judah’s royal family and other noble families, who had been brought to Babylon as captives. 4 “Select only strong, healthy, and good-looking young men,” he said. “Make sure they are well versed in every branch of learning, are gifted with knowledge and good judgment, and are suited to serve in the royal palace. Train these young men in the language and literature of Babylon.” 5 The king assigned them a daily ration of food and wine from his own kitchens. They were to be trained for three years, and then they would enter the royal service. But Daniel was determined not to defile himself by eating the food and wine given to them by the king. He asked the chief of staff for permission not to eat these unacceptable foods. At the end of the ten days, Daniel and his three friends looked healthier and better nourished than the young men who had been eating the food assigned by the king. 16 So after that, the attendant fed them only vegetables instead of the food and wine provided for the others. 17 God gave these four young men an unusual aptitude for understanding every aspect of literature and wisdom. And God gave Daniel the special ability to interpret the meanings of visions and dreams. 18 When the training period ordered by the king was completed, the chief of staff brought all the young men to King Nebuchadnezzar. 19 The king talked with them, and no one impressed him as much as Daniel, Hananiah, Mishael, and Azariah. So they entered the royal service. 20 Whenever the king consulted them in any matter requiring wisdom and balanced judgment, he found them ten times more capable than any of the magicians and enchanters in his entire kingdom. And it is not because I am wiser than anyone else that I know the secret of your dream, but because God wants you to understand what was in your heart. It was the first year of the reign of Darius the Mede, the son of Ahasuerus, who became king of the Babylonians. 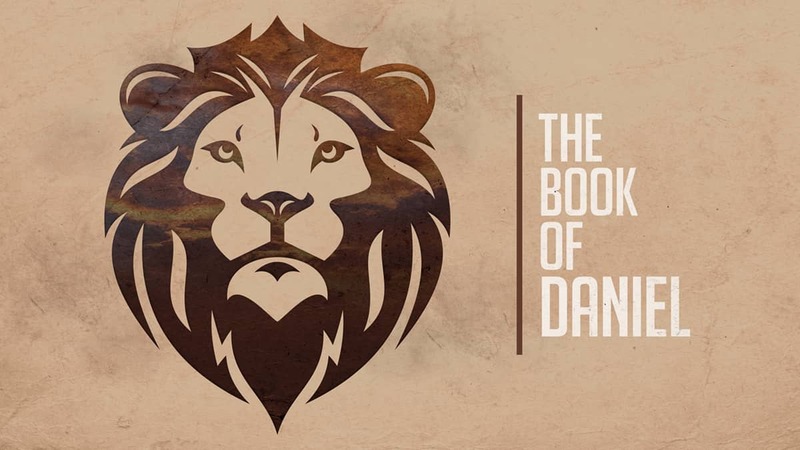 2 During the first year of his reign, I, Daniel, learned from reading the word of the Lord, as revealed to Jeremiah the prophet, that Jerusalem must lie desolate for seventy years. 3 So I turned to the Lord God and pleaded with him in prayer and fasting. I also wore rough burlap and sprinkled myself with ashes. 4 I prayed to the Lord my God and confessed: “O Lord, you are a great and awesome God! You always fulfill your covenant and keep your promises of unfailing love to those who love you and obey your commands. 5 But we have sinned and done wrong. We have rebelled against you and scorned your commands and regulations. 6 We have refused to listen to your servants the prophets, who spoke on your authority to our kings and princes and ancestors and to all the people of the land. 7 “Lord, you are in the right; but as you see, our faces are covered with shame. This is true of all of us, including the people of Judah and Jerusalem and all Israel, scattered near and far, wherever you have driven us because of our disloyalty to you. 8 O Lord, we and our kings, princes, and ancestors are covered with shame because we have sinned against you. 9 But the Lord our God is merciful and forgiving, even though we have rebelled against him. 10 We have not obeyed the Lord our God, for we have not followed the instructions he gave us through his servants the prophets. 11 All Israel has disobeyed your instruction and turned away, refusing to listen to your voice. “So now the solemn curses and judgments written in the Law of Moses, the servant of God, have been poured down on us because of our sin. 12 You have kept your word and done to us and our rulers exactly as you warned. Never has there been such a disaster as happened in Jerusalem. 13 Every curse written against us in the Law of Moses has come true. Yet we have refused to seek mercy from the Lord our God by turning from our sins and recognizing his truth.14 Therefore, the Lord has brought upon us the disaster he prepared. The Lord our God was right to do all of these things, for we did not obey him. 15 “O Lord our God, you brought lasting honor to your name by rescuing your people from Egypt in a great display of power. But we have sinned and are full of wickedness. 16 In view of all your faithful mercies, Lord, please turn your furious anger away from your city Jerusalem, your holy mountain. All the neighboring nations mock Jerusalem and your people because of our sins and the sins of our ancestors. 17 “O our God, hear your servant’s prayer! Listen as I plead. For your own sake, Lord, smile again on your desolate sanctuary. 18 “O my God, lean down and listen to me. Open your eyes and see our despair. See how your city—the city that bears your name—lies in ruins. We make this plea, not because we deserve help, but because of your mercy. “So when you see standing in the holy place ‘the abomination that causes desolation,’ spoken of through the prophet Daniel—let the reader understand—16 then let those who are in Judea flee to the mountains. 17 Let no one on the housetop go down to take anything out of the house. 18 Let no one in the field go back to get their cloak. 19 How dreadful it will be in those days for pregnant women and nursing mothers! 20 Pray that your flight will not take place in winter or on the Sabbath. 21 For then there will be great distress, unequaled from the beginning of the world until now—and never to be equaled again. He replied, “Go your way, Daniel, because the words are rolled up and sealed until the time of the end. 10 Many will be purified, made spotless and refined, but the wicked will continue to be wicked. None of the wicked will understand, but those who are wise will understand. My people are being destroyed because they don’t know me. “During the reigns of those kings, the God of heaven will set up a kingdom that will never be destroyed or conquered. It will crush all these kingdoms into nothingness, and it will stand forever.